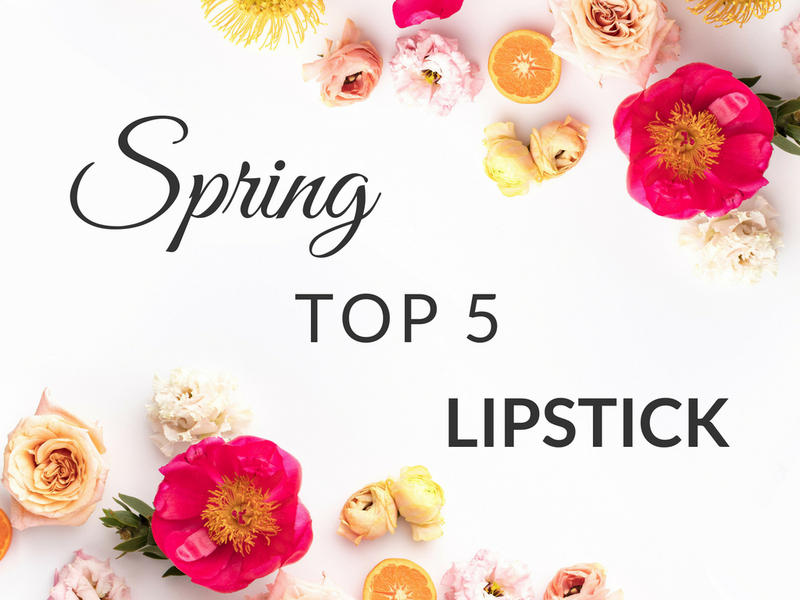 This is a series I’m bringing back from the past, I’ve done it for the Fall and for Christmas and you guys seam to like it, so here we are today with my Spring Top 5 Lipstick. I love lipsticks so much as you may or may not have noticed and there’s something about a fresh glowy face, black liner and bright lips that totally screams Spring to me. So today I gathered here my absolute must: how do I know they are the best? Easy, they were in my purse. I’ve been carrying these shades for a few weeks and wearing them alternately. 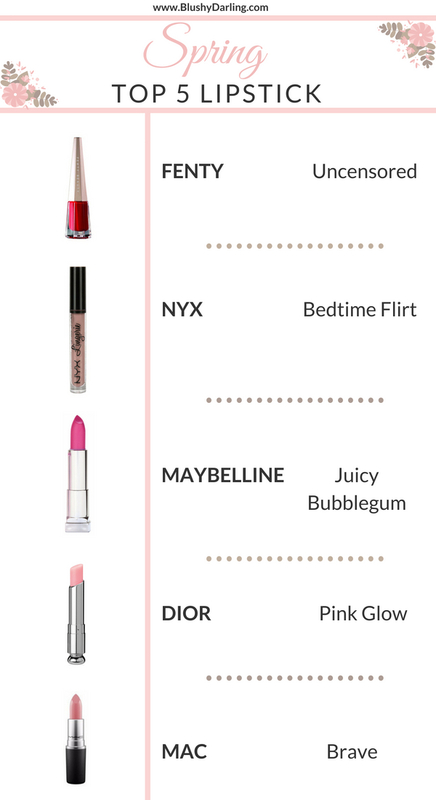 Let me know in the comments if you have a Must Have Spring Lipstick or which of these shades is your favourite! Great colors for spring! I love Mac, I’ll have to try that one. I always opt for a brighter shade of lipstick in the summer. It makes me feel happy! The colors are beautiful! I really like “Bedtime Flirt” and “Lip Glow.” The new colors I’ve been seeing not only for lipstick, but also for nail polish inspire me to break the “same old thing” habit and branch out. I have NYX bedtime flirt, such a nice neutral shade 🙌🏻 love that you included a variety of brands & shades!! That NYX lip stick is one of my favorites! I have that color in my bag right now 🙂 it’s a perfect everyday shade.